India's oil and gas explorations face fresh hurdles. While New Delhi has never been able to attract top multinational energy giants to drill in its territory, it is now scaring away even the few foreign players which did venture here. The main reason is the delay in granting approvals for exploration activities. Italian exploration major Eni SpA, Australia's Santos, and the UK-based Foresight Group are among those looking to exit. Exploration work is stuck also at blocks awarded to the Australian company, BHP Billiton Petroleum, and Canada's GeoGlobal Resources. In fact, bureaucratic delay was the reason Norway's Statoil ASA and Brazil's Petroleo Brasileiro SA both cited when, in 2010, they pulled out of a venture with state-run Oil and Natural Gas Corporation to develop a block in the Krishna-Godavari basin, off India's east coast. These companies came to India after winning blocks auctioned under the New Exploration Licensing Policy (NELP), which ended state monopoly in oil and gas exploration. The policy was decided upon in 1997/98 to boost local exploration and production work, and also attract foreign players. Increasing local output is essential as India imports nearly 80 per cent of its crude oil needs. In 2011/12, India spent $140 billion (Rs 7.26 trillion; one trillion equals 100,000 crore) on oil imports, up 40 per cent from the previous year. The country produced 177 million metric tonnes of crude oil during the 11th Plan period of 2007-12, missing the Plan target by 14 per cent. Output of natural gas in the same period was 216.6 billion cubic meters, 16 per cent short of what was hoped for. NELP has not been very successful in attracting foreign direct investment (FDI) into the oil and gas sector. FDI inflows into the sector from April 2000 until July 2012 were only $5.14 billion, shows latest data from the Department of Industrial Policy and Promotion. This is just three per cent of the total FDI inflows into India during the period. The policy also has largely failed in luring global giants such as Exxon Mobil, Chevron, BP, ConocoPhillips, and Royal Dutch Shell. In NELP's latest ninth round of bidding in 2010, foreign players placed just seven bids. In comparison, global companies had submitted 35 bids in the sixth round in 2008, just before the recession. The oil ministry does not appear to be worried about the trend. "The response from the international companies cannot be termed as poor," said R.P.N. Singh, Minister of State in the oil ministry, in a statement to Parliament during the monsoon session in August. "Decisions of the bidders are guided by various factors like perception of an individual company in the context of opportunities available in other parts of the world, business strategy, technical and financial capability." Aashish Mehra, partner at global consultancy Strategic Decisions Group, points to the delay in government approvals for Vedanta Resources's purchase of a controlling stake in Cairn India Ltd from Scottish explorer Cairn Energy Plc. "We have also seen how it was made difficult for BP when it wanted to buy 30 per cent in Reliance Industries Ltd's blocks," he adds. "It disturbs the foreign players. This delay is criminal." Among the foreign firms which seem to be fed up of the delays is Eni SpA. The company plans to exit all its three blocks. It also wants to sell its 47.16 per cent stake in the Mumbailisted Hindustan Oil Exploration Company. Exploration work at a block near the Andaman and Nicobar islands was stalled after the Department of Space said the block fell in the trajectory of the Indian Space Research Organisation's rocket stage impact zone. A senior oil ministry official, who is privy to the developments, said the ministry has taken up the matter with the prime minister's office (PMO). Eni's block in Rajasthan is stuck as well. The block falls under a protected forest area, and Eni was required to take permission from the Supreme Court to undertake exploration. The oil ministry official said the company did not take the court's permission, and has also not made the minimum investment required by its contractual obligations. The ministry is contemplating action against Eni, which could include a penalty, the official added. Eni India Managing Director Sergio Laura declined to comment. Cesaro Fabio, an Italy-based spokesperson for Eni, also refused to respond. Meanwhile, Santos International Operations Pty Ltd is embroiled in a diplomatic row between India and Bangladesh. Santos had won two blocks in the sixth round of NELP. These two blocks, in the Bay of Bengal, cover an area of 16,500 sq. km, and both countries have claimed territorial rights in the region. Chandran Vigneswaran, a spokesperson for Santos, says the company is not in a position to provide an update on the subject. The foreign ministry has taken up the issue with the Bangladesh authorities, but nothing has been achieved as yet. 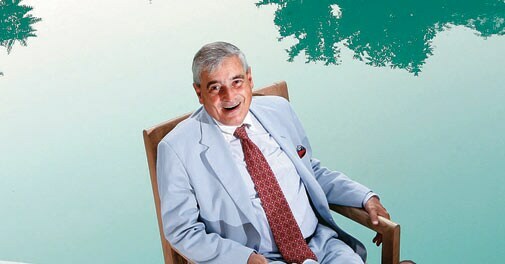 Foresight Group, which has an 11.11 per cent stake through group company Hallworthy in a Rajasthan block, is looking for a buyer, says its Chairman Ravi K. Mehrotra. There have been delays in granting permissions for the block. Foresight had earlier abandoned another block, off the west coast of Kerala, because of low prospects. 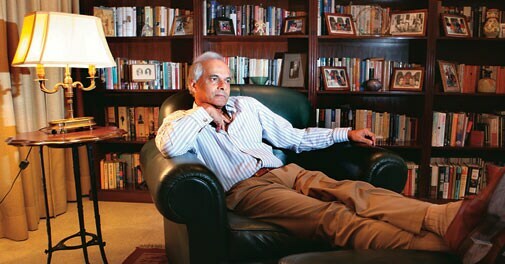 "The day I get a buyer I will move out and invest in a more lucrative market," says Mehrotra. "The government never compensates us for delays. It should understand that there is a cost involved." Canadian operator GeoGlobal has postponed its investments till the next financial year. The home and civil aviation ministries had refused to grant the company permission for aerial surveys to help determine the geology of its two blocks in the Naxal-prone region of Maharashtra. BHP Billiton Petroleum had to stop exploration work at its 10 offshore blocks, off the west coast near Mumbai, after the Indian Navy objected to the company carrying out surveys in the navy's practice areas. "This is despite the defence ministry clearing these blocks for survey and initiation of work," says a company executive who refused to be identified. Other officials say BHP has invested more than $35 million for initial work at the blocks where it partners India's GVK Petroleum. On May 12, the company informed the oil ministry about work having been halted at the blocks. The ministry has asked the Directorate General of Hydrocarbons, its technical wing, for a proposal that can be taken up with the defence ministry. Antonios Papaspiropoulos, a spokesman for the company, says it is "working closely with the Indian government to find a solution to secure access to its blocks" awarded in the seventh and eighth NELP rounds. He refused to give details. The oil ministry says it is aware of the problems the foreign explorers are facing. In the first week of June, the ministry made a presentation before Pulok Chatterjee, Principal Secretary to the Prime Minister, apprising him of the ambiguity in granting permissions at various levels and asking for an inter-ministerial group to be set up to clear the maze. On September 14, Oil Secretary G.C. Chaturvedi said the government is taking stock of the situation and that the PMO has set up an inter-ministerial committee, chaired by the cabinet secretary, to resolve the issues. But many are unimpressed by the oil ministry's seeming efforts. "You do not require policy decisions to expedite approvals," says Mehra of the Strategic Decisions Group. "This only needs government action. We are keeping our fingers crossed."